After introducing one of our investors, the High-Tech Gründerfonds (HTGF), last week, we would now like to provide you with some details on another investor, Earlybird, which invested in EBS Technologies in 2009. Unlike the HTGF, Earlybird is a private-sector venture capital company with considerable expertise in the medical technology sector. Earlybird is a venture capital company focusing on high-tech companies. More specifically, Earlybird focuses on investments during the early stages of company development. Earlybird provides founders not only with financial means, but also with access to an international network and to the capital market. Since its foundation in 1997, Earlybird has started funds with a total volume of over €700m (USD 900m) and has invested in more than 100 companies. Many of these companies have produced significant technological and economic innovation and have realized excellent values during IPOs and company sales. Earlybird supports and empowers European companies on their way toward international and global success. The current portfolio consists of 29 companies from various sectors. "Earlybird invested in EBS after an in-depth analysis. The neuromodulation market is experiencing rapid growth. Today, doctors mainly use invasive methods that are applied directly within the brain (e.g., for treating Parkinson's disease). Thus, technological innovations in this area focus on precise brain stimulation in order to increase efficacy. Recent research, however, shows that in addition to invasive methods, non-invasive stimulation methods (i.e., methods outside the brain) are increasingly used. In this context, it is important to consider the exact type of stimulation. 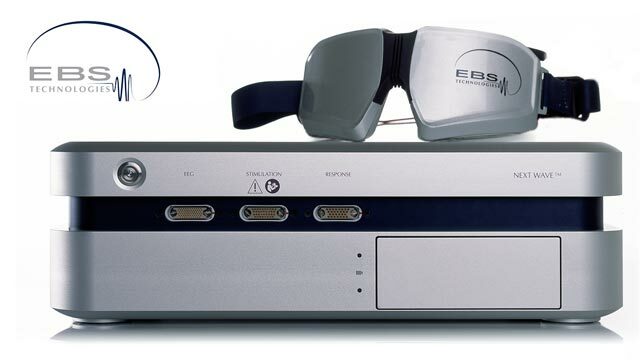 EBS is the first and only company that adapts stimulation to each individual patient's needs after analyzing the EEG (the brain activity) and that is thus able to offer highly individualized therapy. We are convinced that the stimulation method is most likely more important than the stimulation site. Indeed, clinical trials confirm our hypothesis, so we are more convinced than ever of EBS Technologies today."